Anyone who has followed our travels will know that we always seek out the street foods because that is where all the real action is. A recent trip to Turkey turned up some of the best street food ever. 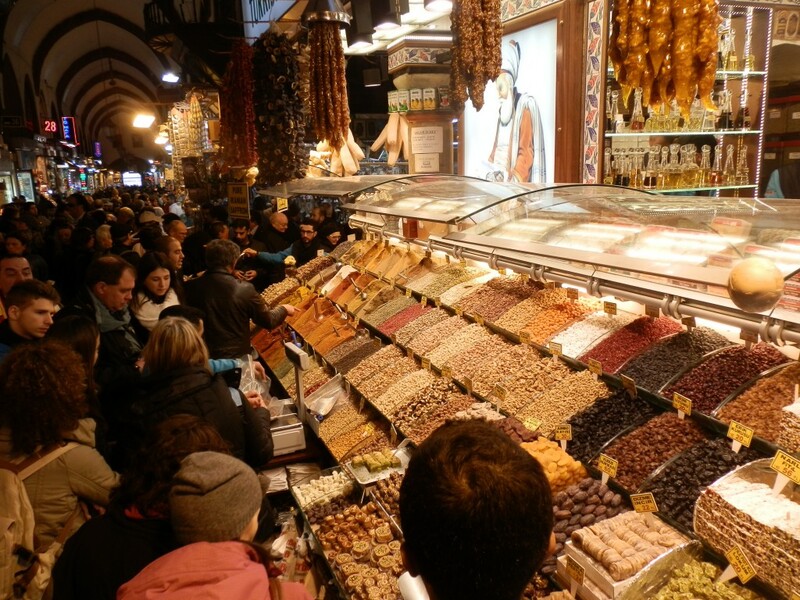 Istanbul’s incredible history keeps you very busy sightseeing, so snack and go is the order of the day. More importantly their philosophy on food is what makes it so great. Simplicity is the order of the day and food is cooked simply and fresh with just a little salt and lemon. The Turkish Fish Sandwiches with fish fillets, lettuce, onion and just a squeeze of lemon and salt are a perfect example. 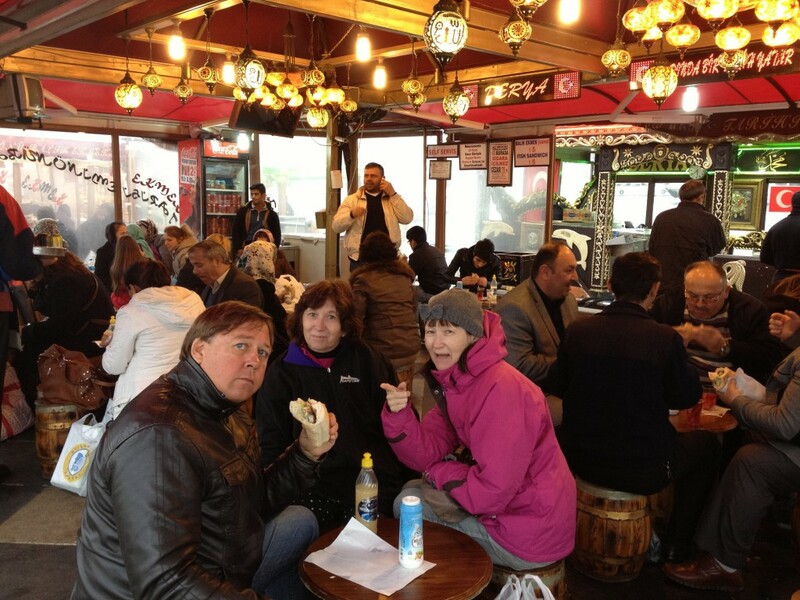 Served on the dockside or fish markets their Fish Sandwiches have become one of the ‘must do’ tourist attractions! We also found fresh mussels, kebabs and roasted chestnuts – all served fresh with – salt and lemon!! I think Turkey was one of the few countries where I never had a bad meal and I put this down to the fact that they stick to what they know best – Turkish food [oh, and Pizza’s unfortunately]. A meal always starts with mezes which have hot, sweet, salty and sour varieties and a little salad with olive oil, lemon and salt as dressing and maybe some yoghurt. The mains are often a casserole or stew type dish, simply flavoured and always good. Eating and socializing is an integral part of Turkish life and when I think about our philosophy of long lazy lunches and my mantra of applying salt and lemon properly, I realize that there must be a little Turkish in me! Watching a group of Turkish men pull out a table on the sidewalk, or even the street [the cars can just damn well drive round them!] and snack on mezes, sip some raki and shoot the breeze, reminds me how much we have lost the plot in our mad chase of – what? Well, without blowing our own trumpet too loudly, you can still find a little relief from the madding crowd at the Prawn Shak or Bud’s, and possibly a Fish Sandwich to boot! Didn’t know you had a movie filmed there. So interesting.